What do you say about a little mall that seems to have been hit on every front yet survives? 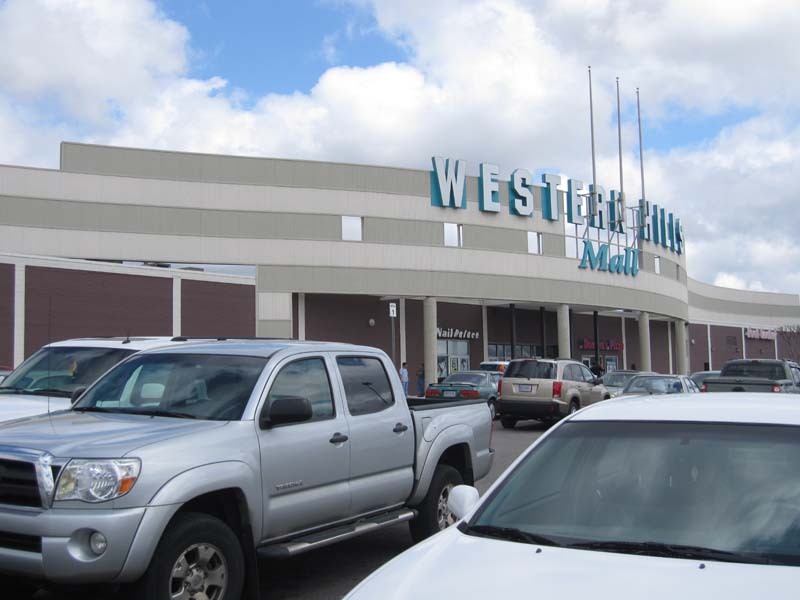 Western Hills Mall turned 40 this year, and it also turned a new leaf over its lifespan as Birmingham's second oldest and now smallest shopping mall. When it opened in 1970, it was the south side of the city's complement to Eastwood Mall on the north. However, unlike Eastwood, it already had competition built down the road only a year before with West Lake Mall. Nevertheless, it was closer to the city in what was at the time a thriving early suburb, and the mall featured JCPenney and popular local department store chain Loveman's. Other tenants included Sokol's (of Bessemer), Aland's, Woolworth's and Britling's Cafeteria. Oddly, the mall also included a Pizitz Bake Shop despite the lack of a Pizitz. In all, it was a pretty basic center, and it is amazing it survives today with all of its original anchors gone and so much competition in the city built since then. While a typical mall from that era, it did receive a significant touch that made it really stand out. 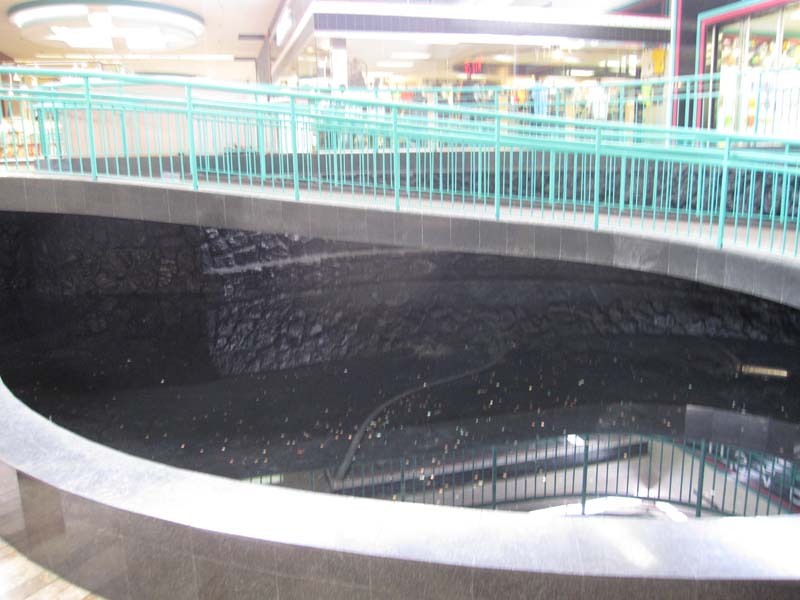 More importantly, though, was the large ramp and fountain in front of Loveman's. The fountain here was quite a showpiece with a curving rock wall, planters and elevated, self-supporting ramp crossing the fountain. Not only did this provide a grand and dramatic entrance to Loveman's, but it was quite beautiful and unique. The fountain attempts to capture the feel of the hills and limestone gorges of the area, and it pulls it off well. Unfortunately, on my visit the fountain was not operating. Also, the rock wall was painted jet black, which only cheapened the appearance of the feature. Awkward photo of center court from west wing followed by photo of main entrance corridor. It was impossible to get a good photo of center court due to the presence of a seated mall cop at the information booth. Note the fountain in the first photo. The small overhead skylights are clearly not original. 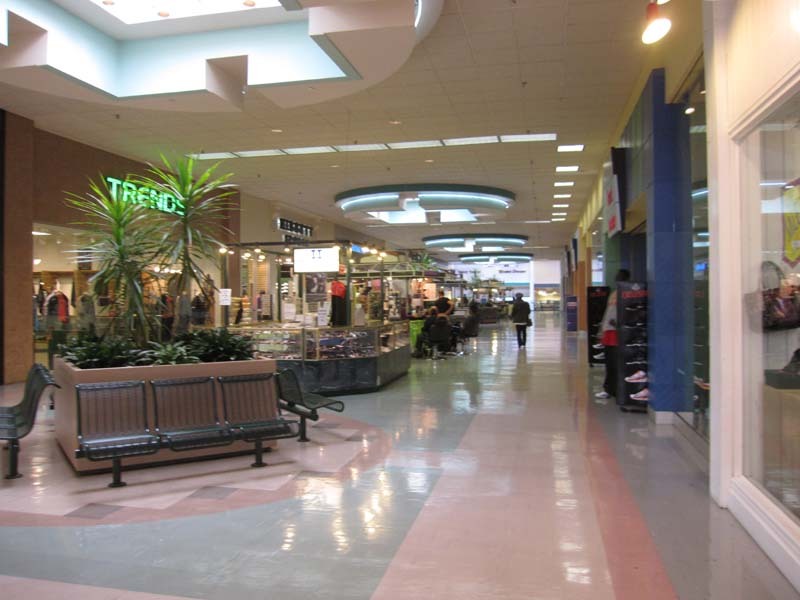 The mall over time would see several important changes. First, Loveman's changed hands repeatedly since the chain folded in 1980. 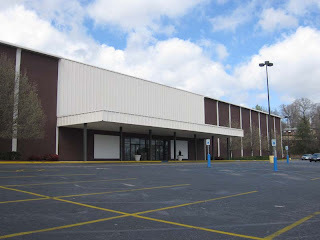 Pizitz would replace the store that year, replacing a store at Five Points west leading to the death of the center's mall addition. Soon after in 1986, Pizitz sold out to McRae's, thus become McRae's. In 1999, Parisian relocated from their 60,000 square foot High Points West store into the McRae's when owners Saks Inc decided to convert the store to the Parisian banner. Parisian would remain in that location before closing in 2005. It was that same year that JCPenney would also close at the mall. 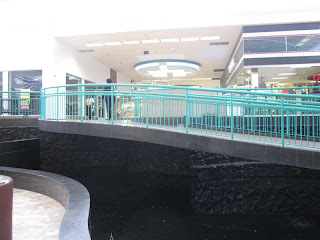 With such a cruel twist of fate, any other mall would be doomed, but this was not so for Western Hills. Despite spending over a year with two dead anchors, the mall would soon find new life. 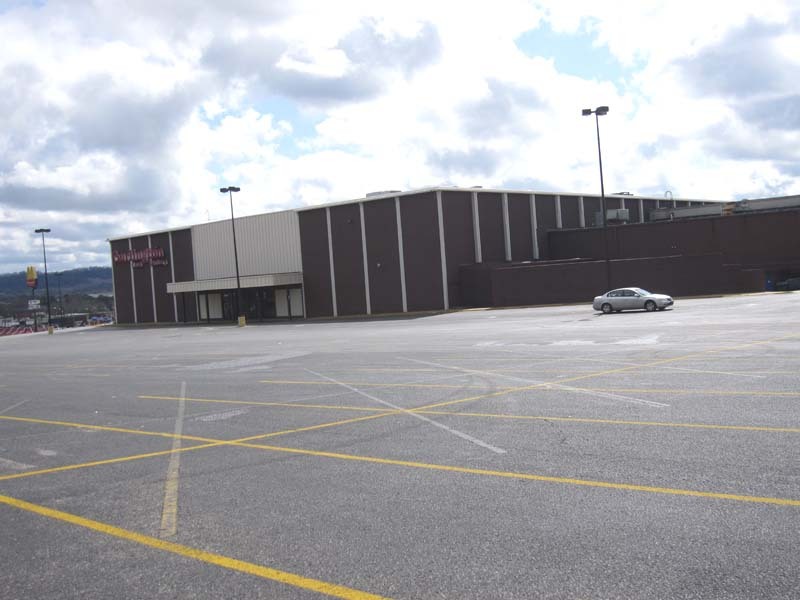 When JCPenney was closed, the vacant store was soon after demolished when Wal-Mart decided to move from its former location next door in an old Woolco to the mall. Wal-Mart Supercenter opened in 2006, and it was built on the site. However, it was not attached directly to the mall. 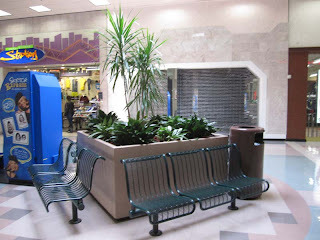 In fact, the old JCPenney mall entrance became a new west entrance where Wal-Mart shoppers had to walk across the parking lot to access the store from the mall. 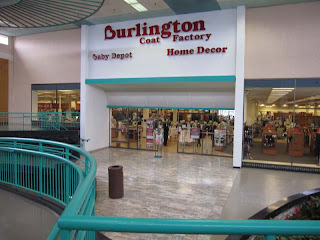 In 2007, Burlington Coat Factory also came and took over the Parisian. Somewhere in that time, most likely in the 90's, the mall was renovated also, but that information was not available. The mall inside does not look to have been modified since that time, but outside the very big and dominating mall entrance sign looks to have come with the 2005 changes. 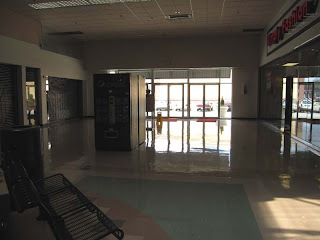 Looking along the east wing from center court toward Burlington Coat Factory, originally Loveman's. 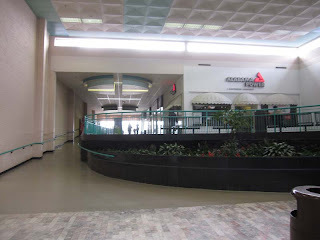 Looking along the western wing to the west entrance, which previously had been a mall entrance to JCPenney. Through these doors, shoppers can walk across the parking lot to the Wal-Mart Supercenter, but Wal-Mart did not anchor the mall itself. This was for the best since Wal-Mart typically refuses to provide mall entrances to its stores. The last I have seen like that was a Wal-Mart in Harrisonburg Mall in Harrisonburg, VA, which has long since closed. Western Hills Mall also saw significant demographic changes. When the mall opened, the neighborhood was mostly white and its residents largely families of steel mill workers. 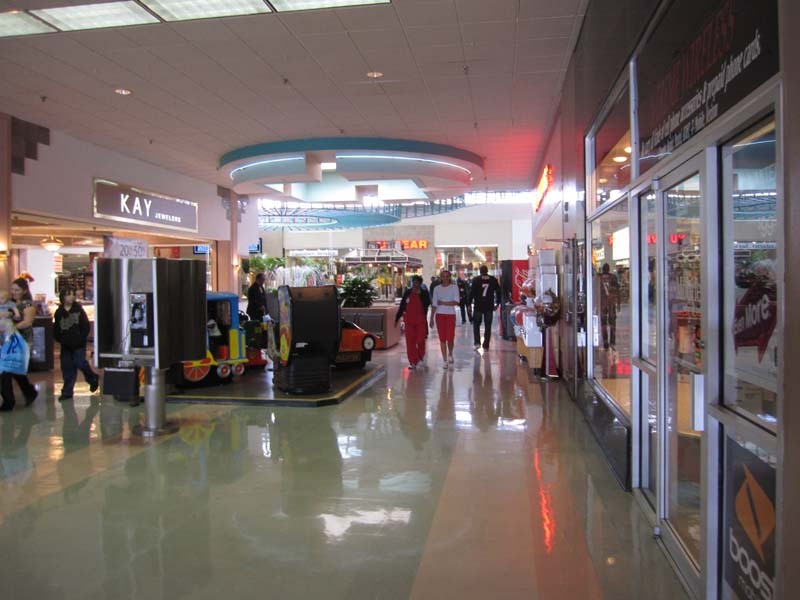 As the steel mills closed and the white population shifted north and east, the mall gradually became a mall mostly serving an African-American clientele similar to, but less successfully than, Greenbriar Mall in Atlanta and Southland Mall in Memphis. While its offerings today seem to be more of the urban variety, it is hardly a dead mall. It seems that malls in such areas tend to be far more resilient to anchor losses in comparison with other malls. In other words, its anchor loss did not detract from the local popularity of the center as it hosts full parking lots and heavy business. The mall also has remained under the same ownership since it opened. It was built by local developer Aaron Aronov, who also help build many major shopping malls and centers across the state. The huge success of his malls including University Mall in Tuscaloosa as well as constructing one of the nation's very first malls, also in Alabama, have made him a legend in the state. The Burlington Coat Factory, originally Loveman's, mall entrance. The entrance has been painted over and modified significantly since it was Loveman's. Parisian closed here in 2005. The railing is for the drop down to the entrance, which includes a sweeping fountain. Looking out toward the southeast mall entrance. From this angle, the mall reminds me very much of West Lake Mall, but with a more interesting east court. Burlington Coat Factory is on the left. 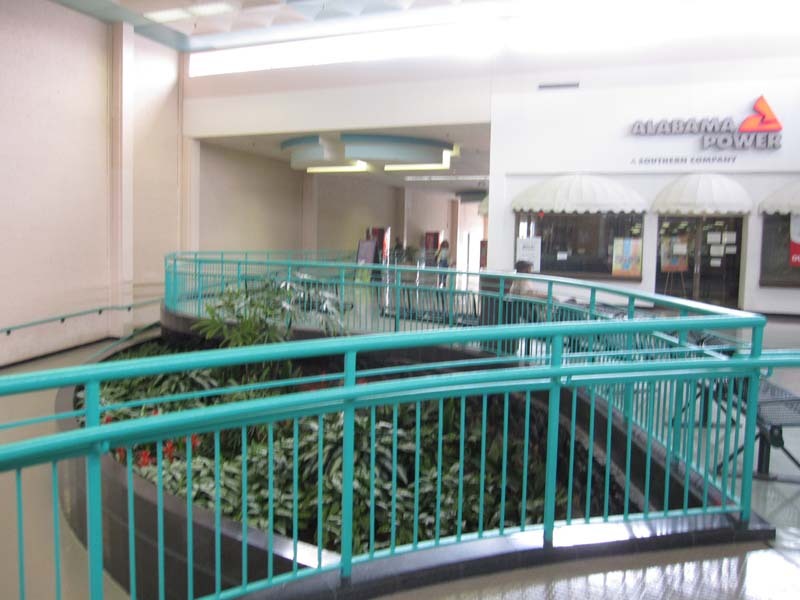 Note the sweeping ramp over the dry fountain dropping from the mall wing down to the Burlington entrance (behind me). I'm sorry about the quality of these shots. Note the painted over stone wall in the background. The fountain was not running, either. A look from the top of the ramp toward the southeast entrance. Alabama Power apparently has an office in the mall in the background. Most malls in the complicated circumstances of Western Hills Mall would be completely gone today. As the smallest in the city, its anchor losses could have been devastating for the mall, so it is impressive how well it adapted. City leaders in Fairfield in conjunction with Aronov Realty made it happen by successfully lobbying Wal-Mart to replace their aging store across the street with a location at the mall. As stated before, the former Wal-Mart was located in an old Woolco...one of the last to still use that space. It is now a full-size Wal-Mart drawing shoppers both to the store and to the mall with the mall functioning like an enclosed strip for the store. While Burlington Coat Factory typically spells doom for malls, this does not seem to be the case at this point...at least not yet. Looking back along the west wing toward center court. Detail of planter and seating area. Though its prospects overall seem less than bright, it does have one of the most popular stores in the country funneling traffic indirectly into the mall. 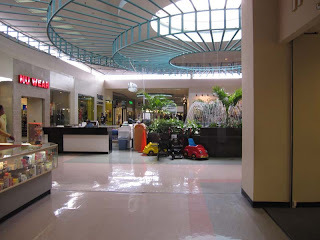 It also maintains a devoted shopping base: something its older competition with Eastwood Mall was unable to maintain. 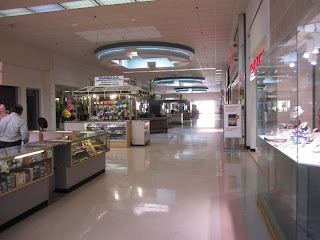 While I do not expect the mall to survive in its current form for many more years, it is at present still looking to be one of the few surprises in a nation full of dead or dying outmoded malls mostly of older vintage. Western Hills Mall main entrance from the outside. It looks like a mix of Hollywood and industrial...very gaudy indeed, but it definitely makes this little mall look bigger. Side entrance to Burlington Coat Factory, formerly Loveman's, Pizitz, McRae's and Parisian. All but the front entrance was sealed off. Back side of Burlington Coat Factory. Historic information and photos on Western Hills Mall on Birmingham Rewound. I think I've only been in this mall 3 or 4 times, and discovered it by accident back around 1992 while riding around in Birmingham. One distinct memory of the mall is it had one of the few remaining older-style Camelot Music stores that hadn't been remodeled in the style that many of those stores went through around 1991 (with the blue neon running in a squiggle from the front to the back in the middle of the ceiling). The district manager told me it was one of the few "brown stores" left that was at least 2 remodeling revisions behind. The first time I went in there (the thing that makes the memory stand out) is I saw someone I knew from Huntsville. He used to work in the Camelot at Madison Square in Huntsville and he had become the manager of the Camelot at Western Hills. 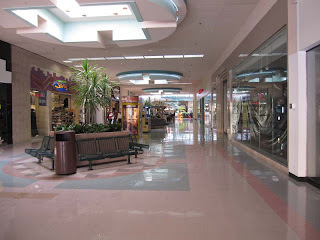 The next time I went in that mall, that old Camelot Music had just been closed. I remember their jingle "Spring time, summer time, winter and fall, that's the season for Western Hills Mall"
Both Burlington and Walmart are closed.